To paraphrase Frank Zappa, I’m not dead, I just smell funny. 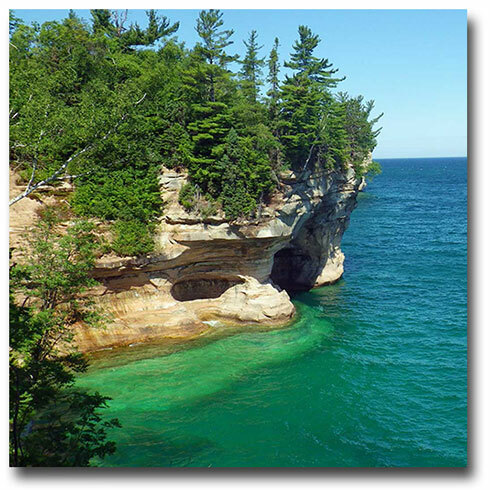 Part of the reason is that I took one of my nephews on a backpacking trip to Pictured Rocks National Lakeshore, located in Michigan’s Upper Peninsula. The weather was kind to us, the bugs were friendly, and the views were tremendous. Without further ado, here’s a 100+ image gallery of photos from the park. To see older photos of mine and a selection of links regarding the Lakeshore, click here. In case you miss the link in the photo caption, here’s a short video from Mosquito Beach. Still working through the video processing, there may be more of those on the way. Took a side trip on the way home to the ‘ghost town’ of Fayette, which will be the subject of my next blog post. This entry was posted in Backpacking, Bathymetry, Birds, Boats, Cheesy Headline, Clouds, Earth Sciences, Flowers, Good, clean fun, GoPro, GoProHero, Great Lakes, Hiking, History, iPhone Photography, Kayaking, Lake Superior, Lighthouse, Michigan, Name Check, Panorama, Pentax, Photoblog Updates, Photography, Pictured Rocks National Lakeshore, seek a pleasant peninsula, Ships, Upper Peninsula, Video, Why Am I Trapped In Suburbia. Bookmark the permalink. 1 Response to These pictures rock.